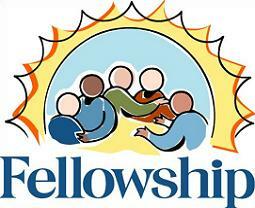 This Friday will once again be our Fellowship meeting. I hope that you are all starting to enjoy these meetings as much as I am! This Friday will be a little different. Christen Sedmock, principal of Allen Elementary (and daughter of Ernie Schott) will be joining us to speak about our Pack the Bus drive and the impact that it had on students in Canton City Schools. 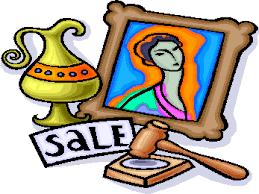 I would be remiss if I did not remind you one more time about the upcoming District Art Auction. Deadline to RSVP is THIS FRIDAY, January 25. We have some very stunning pieces of art. The event is casual and should be a wonderful time. Hope to see you there! Tickets are available at www.rotarydistrict6650.org. During the January 18, 2019 meeting, Rotarian Mike Brown introduced the January Character Count students, Jayauna Tyler and Anthony Parker. Jayauna is a star student, and continues to shine with her gracious presence. When you are around this young lady, she will make you smile! Jayauna has a 3.9 GPA and takes College Credit Plus courses, as well as honors and advanced classes. Jayauna’s talents do not just show in the classroom, but on the stage as well. Jayauna is involved in community theatre and watching her on stage is a joy. She commits herself to many hours of rehearsal, plus her rigorous coursework. She recently performed as a cast member of the Christmas Carol production at the Players Guild. She is currently the President of the Teen Board at the Canton Repository, Secretary of Women of Honor, and a Speech and Debate state qualifier. She also is an active member in National Honor Society, Student Council, Key Club, and Upward Bound. Jayauna is also a member of the Fellowship of Christian Athletes. Next year, Jayauana’s plan are to go into the military, as a member of the Air Force to serve her country. The Air Force will serve as her platform for education, and aspirations for the future. When she returns she would like to study performing arts. Anthony Parker is a young man full of drive, ambition, and determination. Anthony currently ranks number 14 in a class of 496 and constantly pushes himself academically with Honors, Advanced Placement, and College Credit Plus coursework. Aside from his academic accomplishments, Anthony is also heavily involved with the following activities: Speech and Debate (Debate Captain), Model United Youth Council (at-large representative), and National Honor Society. Anthony is held in high regard by peers and staff alike and he will do exceptionally well when he moves on to The Ohio State University this fall. "To The Rotary Club ~ On behalf of the Board of Education and the staff and students of the Canton City School District, I would like to extend my deepest appreciation for your generous donation of 8 boxes of food for families of students of Belden Leadership School. Again, thank you for your continued support of our children and the Canton City School District." During the January 18, 2019, meeting, President Michelle Mullaly welcomed the 50 members and 9 guests to the meeting. Rotarian Frank Fleischer provided the Invocation. Secretary Suzette Matthews welcomed the following guests to the meeting: Judge Frank Forchione (speaker); Jordan Warrick (guest of Mike Brown); Anthony Parker and Jayauna Tyler (January Character Counts); Nathaniel Thompsen, Vassa Delis-Parker, David Kliem, Nour Kelly, Estlin Hiller (guest of Character Counts). President Elect Mark Rojek provided the Rotofact on Martin Luther King. Steve Fettman - to invite all to the Rotary Club of North Canton's 28th Chili Open Golf Classic on February 2, 2019. Tickets are available to golf and for the raffle. *Please see Steve if interested in purchasing tickets for this event. Lynn Hamilton - to encourage all to attend the next two Symphony events: "Eroica: Beethoven Symphony No. 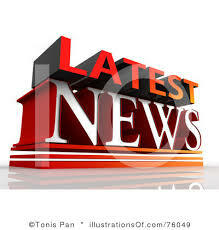 3" on January 26th and "A Night at the Movies 'The Freshman'" on February 2, 2019. President Michelle reminded everyone about the upcoming District Art Auction. She stated at this time she had more art to auction off than tickets sold. Please consider joining her on Friday, February 1, 2019 from 6:30 - 9:30 pm at The SOAP Gallery in Youngstown. Raquel Raderchak, Co-Chair of the Oktoberfest, made an announcement stating this year's event will be held on September 19, 2019. Plans are beginning for this event and individuals are needed on the Committee. January speaker chair Jim Molnar welcomed Judge Frank Forchione, founder and Chairman of the "Stop Heroin from Killing Committee"
next week's meeting will be our monthly Fellowship meeting. We will have a presentation from Christen Sedmock (Ernie Schott's daughter), principal at Allen Elementary School in Canton, regarding the "Pack The Bus" program. The following Board members will receive a makeup for attending the Board of Trustees meeting on Tuesday, January 15, 2019 meeting: President Michelle Mullaly, President Elect Mark Rojek, Vice President Drew Pelger, Secretary Suzette Matthews, Treasurer Tom Clevenger, Trustees: Mark Clendenin, Bruce Hale, Jeff Scott, Kim Kroh, Stephanie Werren, Steve Fettman, and Kurt Goodenberger.